A man who allegedly smuggled two live Komodo dragons to Thailand last December has been arrested, after he was discovered attempting to export 4 Javan gibbons, 4 baby siamangs and a pair of palm cockatoos from Indonesia. 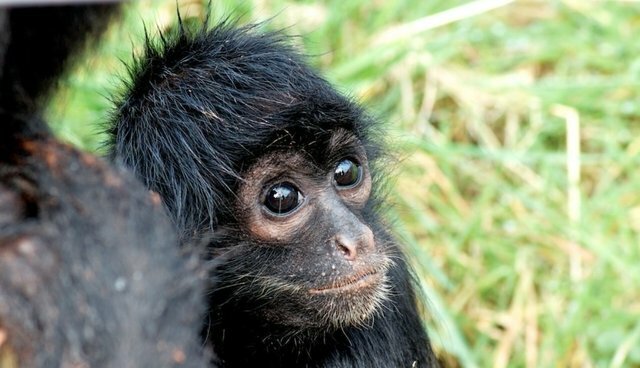 According to the Wildlife Conservation Society (WCS), the infant siamangs were bound for Russia before they were confiscated by the Indonesian Ministry of Forestry. The WCS Wildlife Crimes Unit, which worked on the investigation in conjunction with authorities in Bali, claims that the alleged smuggler has connections to wildlife trafficking rings in Singapore and Cyprus, in addition to Russia and Thailand. WCS reports contend that the man has also sent a number of near-threatened hornbill beaks and several threatened turtle species to southeast Asia previously. Each of the species involved in the purported traffickings, including the rare Komodo dragons, is listed on the IUCN Red List of Threatened Species. The Javan gibbons, siamangs, and cockatoos that were rescued in Bali are classified as endangered and fiercely protected by Indonesian law. Offending wildlife traffickers are subject to a maximum one-year imprisonment if convicted. "WCS congratulates BKSDA Bali and the Jakarta National Police Investigation Division (CID) for arresting this notorious trader," Joe Walston, the WCS Executive Director for Asia Programs, said in a statement. "This arrest sends a message that Indonesia is serious about protecting its wildlife heritage from the ravages of the illegal wildlife trade." Every year, wildlife traders reap a collective $10 billion to $20 billion in profits from poaching and trading products like rhino horn, ivory, alligator skin, tiger paws, eggs, bushmeat, live animals used as pets, and much more -- not to mention illegal live animal sales. HSI has developed thisguideto help avoid buying products made from this illicit trade. Born Free USA has this helpful state-by-state guide on which animals areillegal to own(many because they are illegally obtained). For more information, or to become more involved in this issue: WWF's anti-trafficking campaigns, Save The Rhino, and Traffic.